Thank you Dave and Lynn (and all your crew) for the excellent job done on my new kitchen. The workmanship is of very high quality, the scheduling and how it stayed on track is really impressive. My budget was right on, even with the upgrades that I selected. I took the design to them and they just ran with it, and who knew it could turn out so beautiful and who knew that it could actually be accomplished in basically the same space, with only having to open up a relatively small wall. I just love my new kitchen. We had two renovations completed by Artisan: a kitchen/bathroom upgrade and a dining room built-in cabinet. On both occasions we received accurate information about the products, cost and timeline for the work. The kitchen/bathroom upgrade included removal of cabinets and sinks and eventual donation to Habitat for Humanity. The timeline for the work was very accurate. The workmen arrived on time and removed all the debris. Our second upgrade required several designs which Dave communicated with us. We are very happy with the unique design we chose. We have received many complements and these upgrades have increased the value to our condo. Prior to starting the renovation, Artisan Kitchens provided us with a digital timetable on Buildertrend outlining all aspects of the renovation, the date and time when things would be occurring. If changes to the schedule arose, we were informed well in advance. Buildertrend served as a fast and efficient means of communication. The Artisan Kitchen staff were professional, from the outset listening to our concerns and incorporating our vision into the final design. They met the anticipated deadline with a few days to spare and were meticulous in their final evaluation of the finished product. No stone was left unturned. Quality of work was high. We were a bit hesitant heading into our renovations due to a bad experience with a different company. The entire Artisan team was AMAZING and renewed our faith in the process of renovating! The project was on time and on budget as promised. From the initial meeting to after we moved back in the Artisan team was professional and extremely helpful. The renovations included our entire main which meant moving out. Artisan has a wonderful system to ensure there is consistent communication throughout the project. Kelsey was so patient with all of our many many questions and always took the time we needed to help us throughout the project make design decisions and choices. We would not hesitate to recommend them and will certainly use them again! Great work. Exceptional design and plans. Scheduling and time-tables were well done and on time. Materials and suppliers of high quality. We are enjoying our new kitchen so much! We are enjoying our new kitchen so much! Renovations by nature are not usually something people enjoy, but we have to say that this was such an enjoyable experience with Artisan! Everything ran smooth and professional to a tee! Would highly recommend Artisan to anyone wanting to do a kitchen reno! We were very satisfied with the performance of Artisans for our kitchen/living room/bathroom renovation. The work was extensive but completed over a 3 month period, adhering almost exactly to the detailed work plan that was presented up front and which we could access and monitor on the web. The quality of the work was excellent across the board. Every sub-trade seemed to be a real crafts person with pride in the quality of his or her work. Having an interior design person on staff at Artisan was also extremely helpful as Kelsey was able to provide excellent guidance and sound suggestions. The name of the company really does describe the quality of their work and the service they provide. From the first contact until the last contact – all our dealings with Artisan were top-notch. Earlier in the year we went to one of the big box stores to coordinate a renovation for our en suite. Every bad renovation story that you’ve ever heard, seemed to be our experience with that project! So, when I was interviewing Artisan I made it clear that I needed it to be a positive experience and not the nightmare we endured several months earlier. From the binder with all of the details, to the promise to start on time and finish on time, to the exact budget… Everything with Artisan was professional and as promised. The workers who were in our home daily were respectful that our family lived here, and that was reflected in their work ethic, their polite language, and respect for our non smoking home…NONE of which occurred with the contractor and staff from the big box experience. It has been over a year and a half, and everyday still, when I come down stairs onto our main level I am delighted with every aspect of our renovation. Every wall in our main floor was painted every inch of ceiling was redone and every square-foot of flooring was replaced. 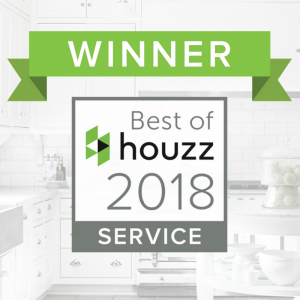 Our kitchen is the heart of our home and everyday we are delighted that we had our old 80’s kitchen modernized and made more functional and comfortable. I have recommended Artisan to three different families who are also delighted with their experiences thus far! I would not, and do not, hesitate to recommend Artisan for any renovation needs. The one downside, however… now we want to renovate our basement, because our main floor is so fabulous! Thanks to Dave, Lynn, John, and all the Artisan staff. Our renovation experience was excellent, and the results are exactly what we hoped they would be! I was happy with Artisan. I was happy with Artisan. They were professional, responded quickly to any concerns , came in on budget and on time. I was very happy with them. We had a great experience getting renovations done to our kitchen and main floor. The work was professional and the results were fantastic. They set out a time line and despite us adding things along the way it still got it done only week later. We went with Artisan Kitchen and Renovations because they were they only place that were able to step back and look at the whole problem with our kitchen and give us great suggestions for renovating. Very open and honest, fantastic detailed planning, accurate and straight forward cost breakdown which came in on budget. Practical design tips for a kitchen that looks great and functions even better. Artisan employs a excellent team of professionals.